Lisa Mantchev is a temporally-displaced Capricorn who casts her spells from an ancient tree in the Pacific Northwest. When not scribbling, she is by turns an earth elemental, English professor, actress, artist, and domestic goddess. She shares her abode with her husband, two children, and three hairy miscreant dogs. She is best known as the author of the young adult fantasy trilogy, The Théâtre Illuminata. Published by Feiwel & Friends (Macmillan,) the series includes the Andre Norton and Mythopoeic awards-nominated EYES LIKE STARS (2009,) PERCHANCE TO DREAM (2010,) and SO SILVER BRIGHT (2011.) Lisa’s short fiction has also appeared in venues like Clarkesworld, Weird Tales, Fantasy Magazine and Strange Horizons. How to make paper in a blender. No, really! In first grade, we gathered bits of twigs and grass and made wood pulp in a blender, then spread it out on a screen to dry. It was part of a Mother's Day present, and it was absolutely eye-opening to see how much work went into make a single sheet of paper. I've been in awe of paper ever since. That's why I can hear the trees crying when I see how many copies of crap books end up at libraries and bookstores. RESPECT THE TREES, PEOPLE. There's a formula for getting the story on paper… the discipline to write every day, to edit, to revise, but no. I don't think there's a recipe for creating art. The idea is one thing. Conveying it is another beast entirely. 1) Make them interesting. No one wants to read about boring people! 2) Motivation, motivation, motivation. I just sorted out a scene because a character who wouldn't normally hold a gun was shooting at people, and it took quite a bit of work to get him to understand why he was doing such a thing. The highs and lows… you get the most marvelous feeling in all the world when you have a new idea, when you start a new project, when you complete a new manuscript, and then the doubts set in, you start chewing your fingernails off and eating all the chocolate in the house. The trick is to find balance every day in the little things, and to have someone you love hide all the candy. 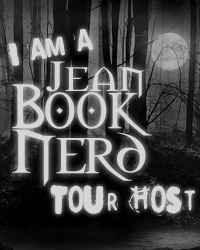 In your newest book, So Silver Bright; can you tell my Book Nerd community a little about the novel? It's the conclusion to my Théâtre Illuminata trilogy, which started with Eyes Like Stars and Perchance to Dream. It's the last leg of Bertie's journey, trying to reunite her parents and save everyone from the sea goddess. What was one of the most surprising things you learned in creating Beatrice? That I could write more than two hundred thousand words about one person… before I started her story, the longest piece I'd ever written was ten thousand words. I don't. I have an inspiration shelf hanging over my desk, old wood with gold art nouveau metal tooling around the edges. Right now, it's holding a cast iron ink well, a sculpted white luck dragon, a Jules Verne brass telescoping ring from ThinkGeek, a pocket watch, a silver candlestick with a rabbit atop it instead of a candle, a checkbook from 1800's San Francisco, a pink glass fisherman's float, and a page from the dictionary with a massive skull and crossbones painted on it. A mix of finishing the theater books and starting my steampunk series. If you could introduce Ariel to any character from another book, who would it be and why? Christopher Chant from Diana Wynne Jones's Chrestomanci books. Can you imagine no-blinking contest between them? Did you learn anything from writing Nate and what was it? Nate started out a friend-character and transformed into a love interest during edits. It was interesting to see how the dynamic between he and Bertie changed as a result of that. With Bertie herself… she's coming into her own, still making mistakes but never giving up on herself or anyone she loves. I just sent off the first book in a new YA steampunk series to my lovely agent. Fingers crossed that it will sell soon! And I'm working on a short story collection to gather all the things I published before the theater books. No one ever asks me how I feel about coffee grinds. I love coffee, but hate the mess, and coffee grinds physically skeeve me out. The way most people are skeeved out by baby poop or spiders or that stuff that accumulates in the kitchen drain. I don't remember my dreams very often. I do recall one in which Heath Ledger asked me to go to prom with him, and I'm still mad about him dying before that could happen. If I came to your house and looked in your closet/attic/basement, what’s the one thing that would surprise me the most? How few books I have in my bookshelves. I only keep copies of books that I adore, that I know I'll read over and over again. The others get donated. I like keeping words in circulation. 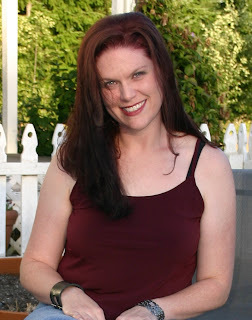 Over the weekend… my son was flailing his arms and jabbed me in the eye with a fork. My mom or my sister. The three of us are really close. All Beatrice Shakespeare Smith has ever wanted is a true family of her own. And she’s close to reuniting her parents when her father disappears. Now Bertie must deal with a vengeful sea goddess and a mysterious queen as she tries to keep her family—and the Theatre Illuminata—from crumbling. To complicate it all, Bertie is torn between her two loves, Ariel and Nate. Thank you Lisa for making this giveaway possible. 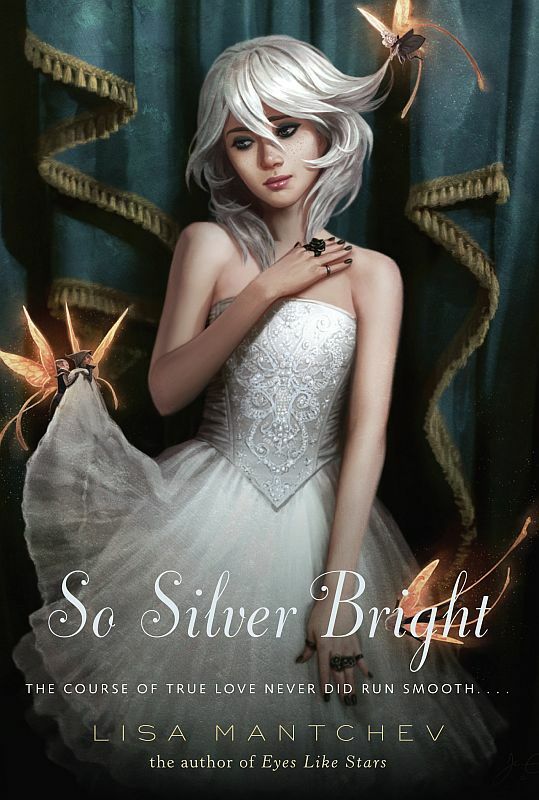 1 Winner will receive a copy of So Silver Bright by Lisa Mantchev. I'm loyal, I will stand by your side and you can always count on me if you need me. I have lots of patiences. I am always up for a new adventure! My honesty. I hate lying. My originality-how I'm different from everyone esle. Physically: um... I guess my hair. I'm awesome. That's what I like. T_T Why are your questions so hard to answer??? My sense of humor and my passion for books! I really love my eyes! I think they're really lovely. On a less shallow note, I like my quick wit. Thanks for the interview and giveaway! I love this series! I really like my sense of humor. I love my eyes and my hair, because they are just always pretty without me doing anything to them. :D Thanks for the giveaway! I'd give my life for my friends. I like that in me because I don't see many people like that and I cherish this trait. I know when to stop certain things. Oh! my patience and my weirdness!! I like that I can be really honest if you allow me to do it. I always try to be sincere with my friends. I like how quickly I can read and still absorb it all. My love for books:) Thanks for the giveaway! My imagination :) Thanks for the giveaway! My mind! Thanks for the giveaway! My creativeness and my kind personality. My big heart and how I am kind and loving to everyone. During the summer I manage to read most of the books I want instead of being lazy. My sarcasm and my eyes.